Founders, though, stand to gain much from the development of a public profile. Whether that be on social media, via speaking engagements, or in contributed news articles, a public voice can set some founders and their startups apart from the rest. Growth hacking expert Vincent Dignan, a startup founder himself, is a huge advocate for entrepreneurs building their own personal brand. 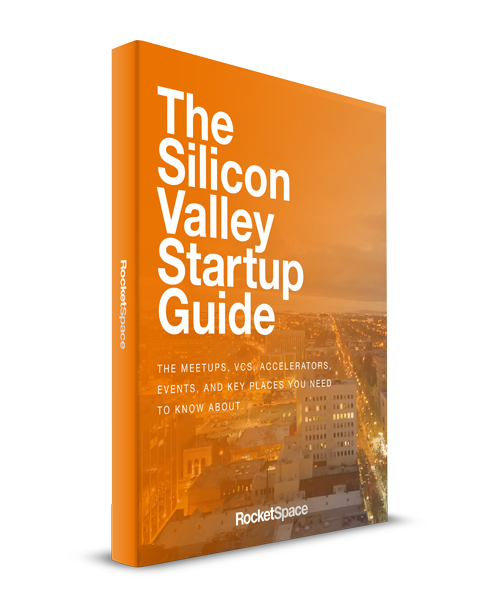 In a recent talk at RocketSpace, Dignan dished out non-stop tips and strategies for everything from growing sales and increasing referral traffic to getting on magazine covers and building a loyal following. Dignan is the co-author of Secret Sauce: A Step-by-step Guide to Growth Hacking and founder of content marketing firm Magnific, a TechStars London 2014 participant. He reports having taken his first online magazine, Planet Ivy, from zero to 300,000 monthly visitors within a year and his second online publication, Screen Robot, to 1 million monthly visitors within 100 days. Dignan has a reputation for making things happen. Beyond that, his personal network spans to more than 175,000 social media followers, he says, and content produced by his team has been seen by more than 50 million people. If you're a startup founder who lacks a public persona, you may want to start drinking a little of the Kool-Aid this man's selling. Below are six key takeaways from Dignan's talk, each focused on best practices for building a personal brand as a startup founder. How did Dignan land the cover of Disrupts magazine? He found the editor and told him that he should be featured on the cover, he says. He also offered to connect the editor with a handful of top contributors if he could theme the issue around growth hacking. The bottom line? Don't hold back. Ask for what you want. People don't care about your business or your cause, so you have to give them something to make them care, and only from there will they give you something in return, Dignan says. Content, such as informative blog posts, is one way to provide value upfront. If you're worried about tweeting too often or sending too many sales follow-up emails, err on the side of too much. 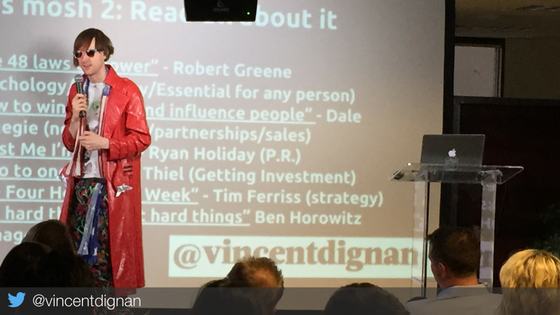 Dignan's equation for personal branding is: Vanity + Value – Time Spent = Good Personal Branding. The unique component there is vanity. How many Twitter followers do you have? Have you been featured in any press recently? Received any awards? These are all superficial details that others find impressive; focus on them, he says. If you're adding value for others and not spending too much time on your brand, while also gaining external recognition, you're onto something. Early in a startup's life, founder speaking engagements are a great way to gain customers. Get out of your apartment and off of your laptop and in front of people, Dignan advises. Never turn down a public appearance, he says. "Your personal Facebook needs to be your public Facebook," Dignan says nonchalantly. “Everyone, from the top CEO to the youngest intern, spends all day on Facebook. No one escapes it." He suggests adding business contacts on Facebook to form deeper bonds and advocates that founders create and cross-post content across a variety of social platforms for optimum reach and thought leadership. "If I had only one piece of advice for everyone: Have a secret sauce," says Dignan. "Business is really hard... So, you have to have something that makes you different from other people." Dignan describes his secret sauce as tight copy and traffic referral automation skills. What's your secret sauce?